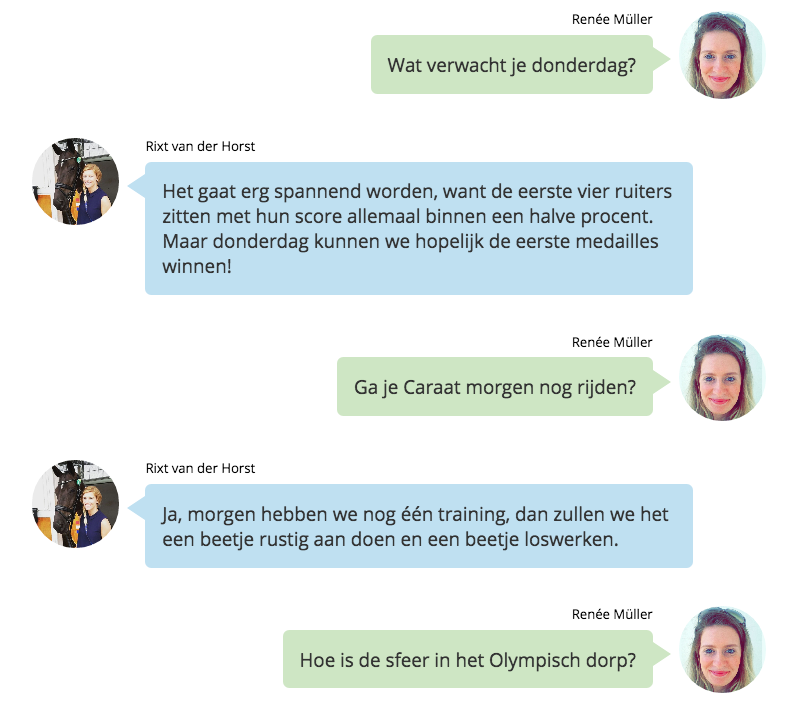 Rixt van der Horst did a fantastic teamtest with her horse Caraat at the Paralympics. Our journalist checked in with Rixt to see how she felt after her first performance in Rio. Especially with an event like the Paralympics we want to provide fans with information in the fastest way possible. Our journalists are in direct contact with the athletes, even when they ware half way across the world. 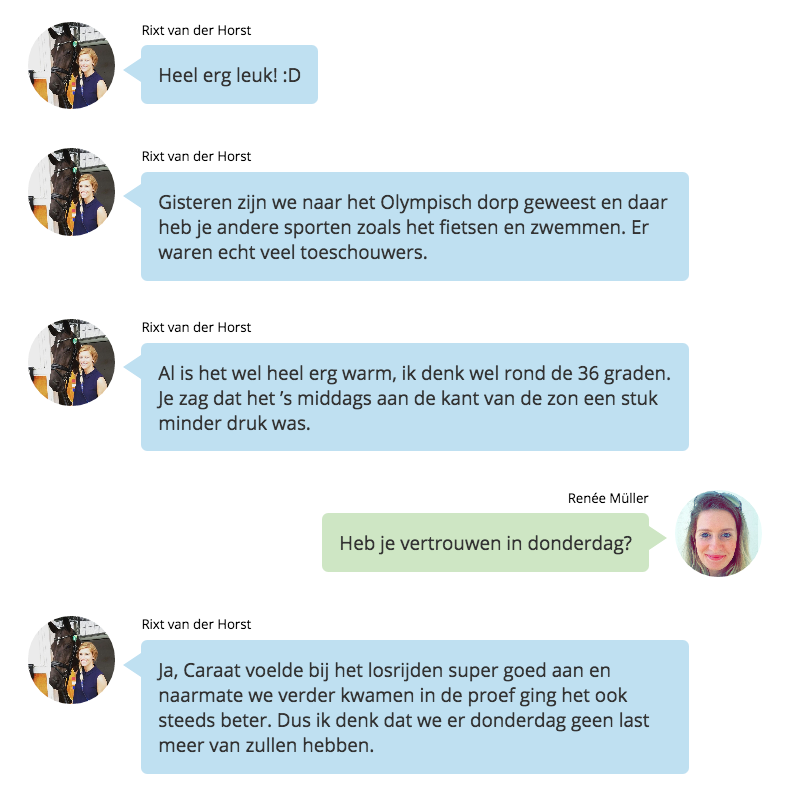 Through digital communication athletes find time in their busy schedules to share their stories with us. Týrsday involves the fans in this fast and intimate way of communicating by using a special 'messenger' lay-out, made possible by Playbuzz.